What fights do you think we'll see? And what fights would you like to see? Perhaps, Ryan Burnett Vs Daniel Roman? Is Burnett back in training yet? I think they're aiming for Roman to fight Doheny in a unification next. Does Ricky REALLY want to fight Beltran again, away from home.? He's had one gift,I think he should sit on it. Also Ill be cheering like mad for him but Id be surprised if Tommy pulled off what would be his best win against Algeri. To answer your question I think the only one well see. out of your list is the woman fight. Taylor is the most high-profile Irish fighter contracted to Matchroom but the Bray boxer may not be the only one to bring about Irish interest in the card. If the March-June schedule is feasible for Taylor then who's to say that it won't be the same for Jono Carroll, the Dublin-born and Dunshaughlin-raised fighter who will challenge for Tevin Farmer's IBF super featherweight title on St. Patrick's Day weekend? Barring injury and depending on the result, Carroll's inclusion would certainly pique the interest of the healthy Irish contingent in New York. Belfast's Ryan Burnett is already well on the road to recovery after a severe back injury cost him his WBA bantamweight title last November. He ought to be ready to return to the ring in the summer and itching to rebound from his first career defeat. Portlaoise's TJ Doheny is also contracted to Matchroom but he is less likely to feature on the undercard of Joshua vs. Miller because he is expected to take part in a unification clash with Danny Roman in April. With Taylor and Burnett leading the way in terms of probability for the Madison Square Garden show, it might be worth pricing flights to New York but don't go booking anything just yet. Regarding specifically who will be on the show, Hearn later revealed more of his plans in a separate interview. 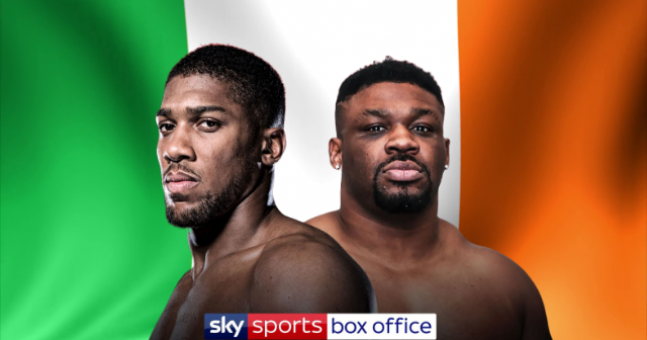 The promoter told IFLTV: “I’m looking for a major fight for [Joshua] Buatsi there if he can come through [Liam] Conroy, I’d like to take Josh Kelly there. “I’d like to do Kal Yafai vs [Donnie] Nietes in a unification fight, there’s some other world championship fights I’m looking at as well. Its gonna need something legit to get me out of bed. Nothing floated so far will do it. During press conference for Lomachenko-Crolla, Eddie Hearn revealed Callum Smith will fight on the Joshua-Miller undercard. During press conference for Lomachenko-Crolla, Eddie Hear revealed Callum Smith will fight on the Joshua-Miller undercard. I know the talk yesterday revolved around a fight with Zurdo, but that has little chance of landing on this card. Even though he's the genuine #1 in the division, I'm still expecting an uninspiring and safe title defence. It’ll be the usual MR gang, with full camps vs guys you’ve never heard of, from the weight class below, on short notice.